90 x 600mg Veg. Caps. Kelp includes any of a variety of large brown seaweeds which are found in cold waters throughout the world. Kelp is an adaptogen with a special affinity for helping to maintain the function of the thyroid gland, high in iodine, potassium and trace minerals. Caution: People with an overactive thyroid, pregnant or lactating women, should consult a doctor before using kelp. 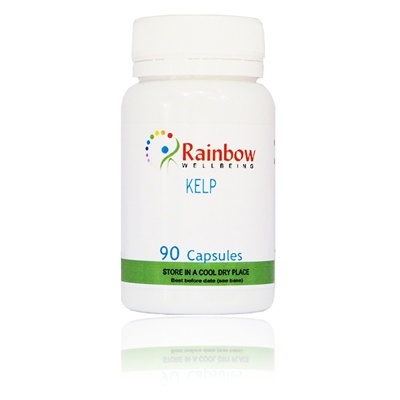 Each vegetable capsules contains 600mg of 100% pure Certified Kelp (Ascophyllum nodosum). No other ingredient or additive of any kind. Take 2 vegetable capsules a day. 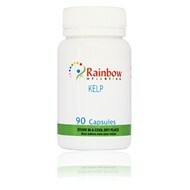 Caution: People with an overactive thyroid, pregnant or lactating women, should consult a doctor before using kelp.